Last week we brought you the teaser video of the unboxing and first impressions of the Audio Technica AT-LP120-USB Professional Vinyl Turntables. Well, we didn&apos;t want to keep you waiting too long and we were able to put it through its paces in the Lab to let you know exactly how this "Technics clone" holds up to the old legend. 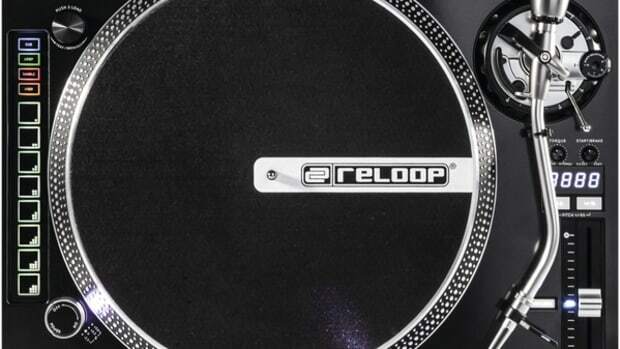 For only $200 each, these turntables pack a pretty powerful punch with a solid (albeit polymer) build and a few nice on-board DJ features as well. Check out the full HD-Video Review inside. 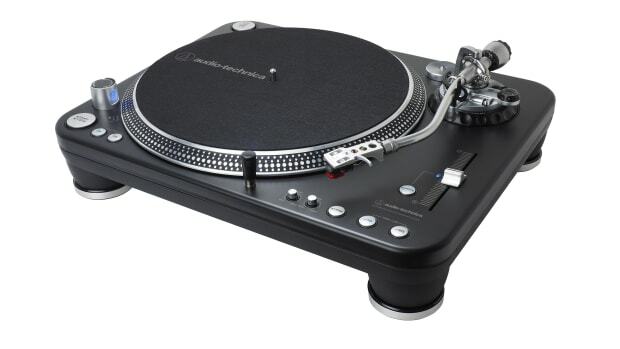 The Technics 1200 turntables have been discontinued for around two years now (or longer depending on who you speak to) and DJ’s everywhere have been looking for viable substitutes so that they can continue to spin vinyl or use a DVS timecode setup to control the DJ software of their choice. Audio Technica has created the new AT-LP120-USB turntable with a nearly identical look, feel, weight, and a decent direct drive motor all at a retail price of only $200 each. 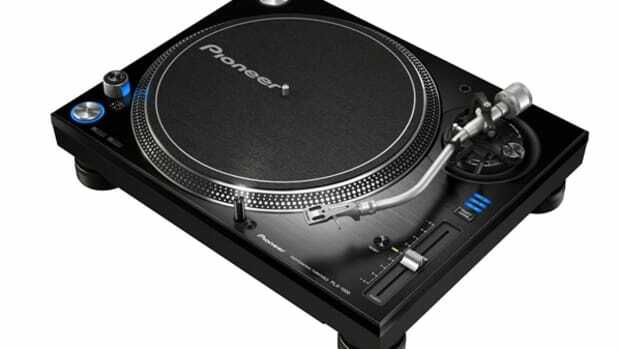 On the construction/build quality front, the AT-LP120-USB turntables clock in at about 23.5lbs (Technics 1200’s weigh about 24lbs) and they have a polymer/plastic top construction with a tough and textured strong-molded ABS plastic material for the bottom half. The AT-LP120-USB has lots of dampening and metal reinforcements inside of it to make this a pretty solid unit all around. The tonearm section is very similar to the Technics as well while offering the anti-skate and vertical height adjustments that DJ’s are familiar with. Although the tonearm assembly is all-metal, it’s not quite as rock-solid as the tonearm system on the Technics 1200, but it is a good tonearm assembly that is easy to setup and performs nicely for all DJ situations. The pitch slider is plastic (but feels and looks like metal) with a center-click and an LED on the side to show when you are at absolute zero. The pitch slider is built nice and solid just as with the other buttons on the unit. The Quartz Lock and Pitch Range button (to switch between 10% or 20%) are also all plastic and provide a nice familiar feel. 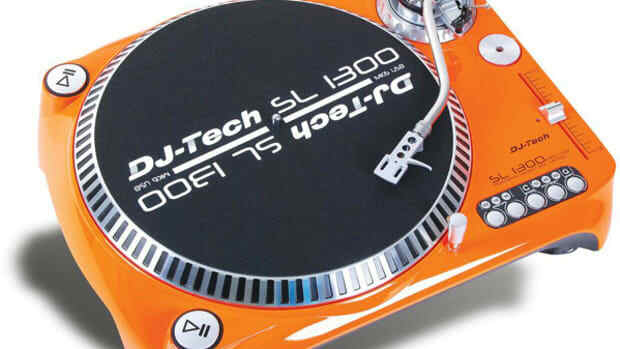 Above the pitch slider is another button that allows users to change the direction of the platter (Forward and Reverse) with a small LED indicator that lets the DJ know which way the turntable is set to spin. Everything else is a mixture of metal and plastic, but it all feels very, very similar to the Technics 1200&apos;s once again. There’s a metal pop-up target light, plastic 33RPM/45RPM buttons, plastic Start/Stop button and the motor off twist knob. The turntable can also play 78RPM by selecting both 33RPM and 45RPM buttons simultaneously. The platter is very sturdy and is metal (Aluminum) along with a Metal 45-adapter that comes with the unit. In the upper right hand corner of the unit, there is a slot where DJ’s can store a spare headshell/Cartridge of their choice in case of an emergency. There are spring loaded adjustable feet at the bottom. When comparing them to the 1200’s, the feet are thinner, but they do a good job of balancing as they are. The RCA cables are permanently attached at the bottom, but it would have been nice to see a detatchable set of cables in case they ever break or fail. 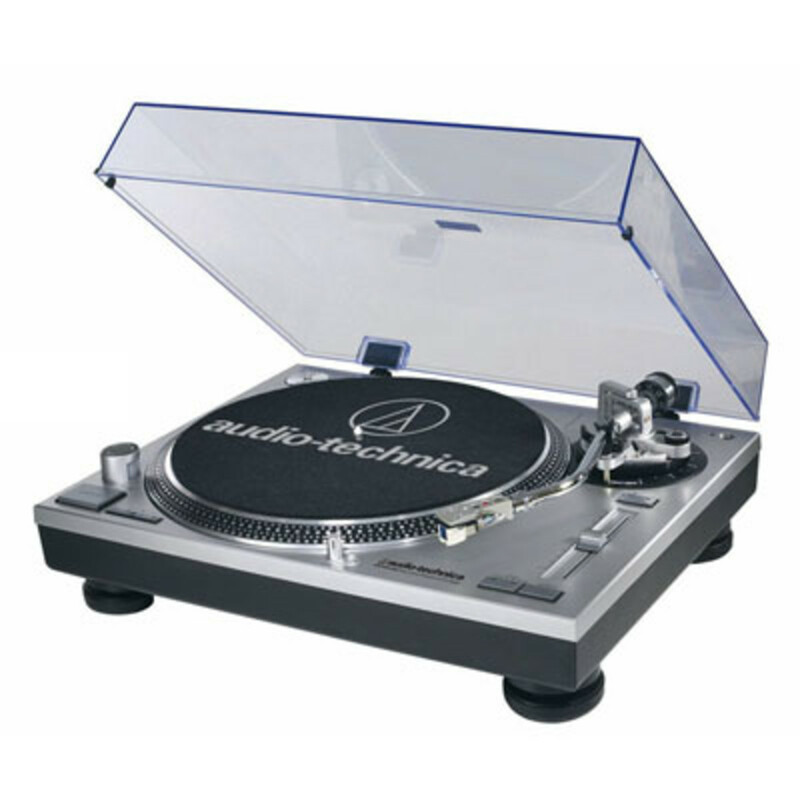 In terms of DJ performance, the Audio Technica AT-LP120-USB turntables are a viable and very inexpensive substitute for higher priced decks on the market. The direct drive motor of the AT-LP120-USB was pretty strong coming in at 1.6 kg-cm while the all-mighty Technics 1200 is rated at 1.5 kg-cm. It may sound like the AT-LP120USB has a stronger motor than the Technics, but this is not necessarily the case. I was able to pull off all my complex scratches and backspins and juggles with little to no issue on the AT-LP120-USB, but I did notice that the weight of my hand would slow the platter down more than it would when using a Technics 1200 (Butter Rugs Super-slippery slip-mats used during testing). While doing advanced scribbles and tears where my hand was still on the record for extended periods of time, I could bring the platter to a very slow speed and it would take a bit of time to get back up to speed. It didn’t really interfere with my performance while scratching, juggling, or backcueing and mixing much, but it is noticeable when the motor is under extreme stress and is worth pointing out. Remember though, the AT-LP120USB are only $200 each, so they aren’t going to be perfect in every category. 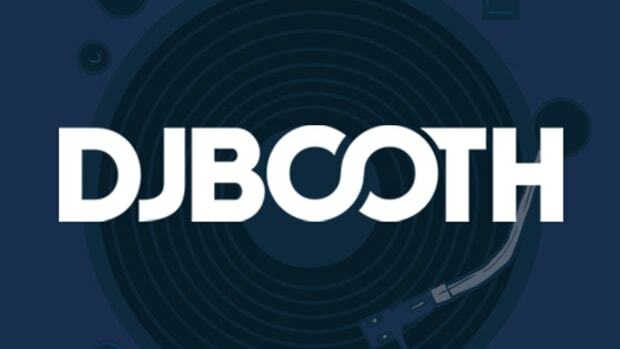 The start/stop and motor off functions are almost the same as the Technics, and once the tonearm is properly setup with a decent DJ cartridge, then you won’t have any issues with skipping at all. The aluminum platter is very sturdy and doesn’t wobble or shake during scratching and cueing. The sound quality is more than adequate for DJ’s needs. Some audiophiles may not like the internal Line-Level pre-amp used to bring the output up to line level, but I didn’t see any issues with it on my setup. It is worth pointing out though that when the AT-LP120-USB turntable is set to LINE level mode and you turn the Motor off knob to the off position, the sound will cut off. When you are in PHONO level mode and you turn the Motor off knob to the off position, the sound will remain on. This is important to point out for those DJ&apos;s who use the motor off function during transitions and scratching. The sound quality was good overall and I didn’t get any feedback or humming throughout my tests and I had my speakers pretty close to the whole turntable setup. The isolation is definitely DJ acceptable. 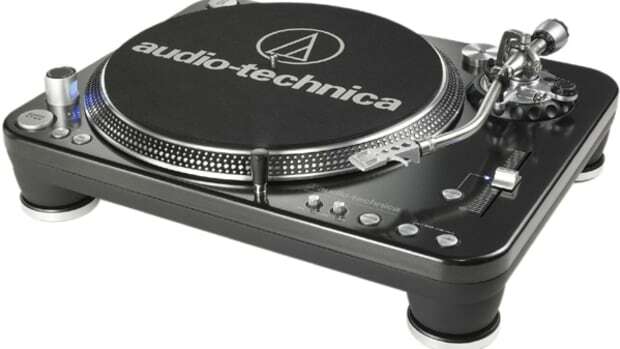 In conclusion, The Audio Technica AT-LP120-USB Direct-Drive professional Turntables are a nice substitute for DJ’s who can’t afford one of the Super-OEM turntables or the discontinued Technics 1200’s. 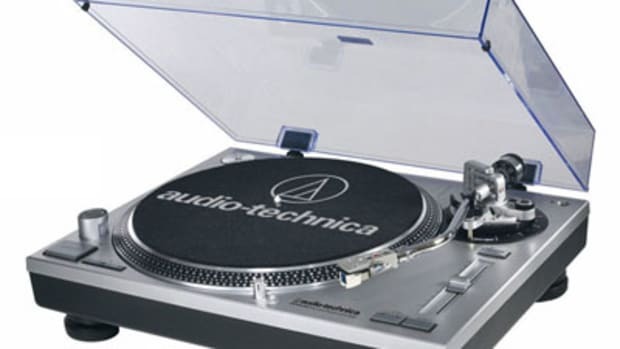 The Audio Technica AT-LP120-USB turntables have a mostly plastic inside and out, a DJ-Friendly direct drive motor, Familiar Technics 1200 layout and feel, and a nice set of extra features not found on the 1200’s. They also come with a mounted cartridge, clear cover, and felt slip mat to get you started. On the downside, the AT-LP120-USB turntable has permanent RCA cables attached but it would have been better to make these detachable for easy replacement if they ever break or fail. Excellent $299 Retail ($200 in store) Price!! !